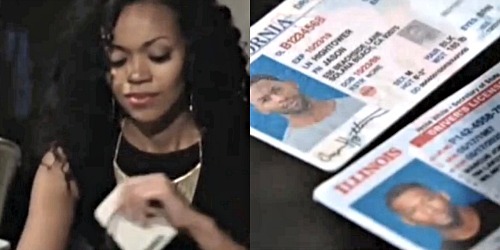 The Young and the Restless spoilers tease that Hilary (Mishael Morgan) is actually evolving. Fans have seen enough of her vengeful side. Morgan is a solid actor, as was evidenced by the emotion she projected in a potentially pivotal scene with Bryton James (Devon) this week. The combination of this character and the person who portrays her provide executive producer and head writer Mal Young with an opportunity to take a bold step forward. Hilary was at Crimson Lights. She was on her smartphone, speaking with a GC Buzz sponsor who was dropping commercial support due to the effects of Jordan’s (Darnell Kirkwood) photo reveal. That call didn’t end well. Later, she called Devon. Sharon (Sharon Case) offered her heartfelt support to Hilary before the other half of the former ‘Hevon’ arrived. Miss Curtis responded to Sharon’s compassion with a front. Hilary felt the need to project strength, or in that instance, the appearance of it. Devon knows Hilary better than anyone. That’s why he didn’t back away after rejecting her proposal that the Hamilton-Winters Group back the ‘Hilary Hour’. Hilary reacted with anger, but Devon knew that she was feeling something different. Within that well-written scene something larger appeared, an opportunity for Y&R to develop the Hilary character and the audience’s understandable feelings for her. Executive producer and head writer Mal Young could propel Morgan from a limited villain to a Daytime Emmy Award winner by allowing Hilary to mature. Morgan possesses the ‘it’ factor. Her portrayal of Hilary evokes strong reactions from the audience because she takes the scripts she’s been given and injects a unique element into them. Only some actors own that type of talent and can consistently deliver on-screen. Daytime actors, who evidence this trait are even more impressive due to the sheer volume of work they generate. Imagine Hilary following Devon’s advice, as he originally offered a year ago. She should opt to become a legitimate journalist and use her GC Buzz platform to promote worthwhile causes, instead of gossip. Jordan responded to Hilary’s vengeful actions against him. Both sides were wrong. But Devon said that his ex-wife and still-soul mate can use this hurtful experience to grow personally and professionally. Consider what Morgan could offer if her character is allowed to take Devon’s advice? Kudos to Mal Young and his team for creating that scenario. Now, TPTB can push the Hilary character forward. Great soap would surely follow.